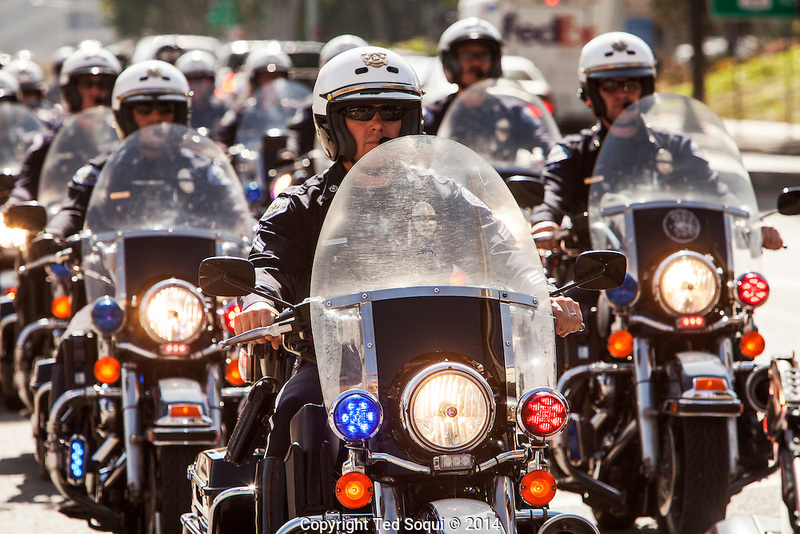 An End of Watch memorial service was held for fallen LAPD Officer Nicholas Choung Lee. Officer Lee was killed on duty in a traffic collision last Friday, March 7, 2014. Thousand of law enforcement officers from all over California showed up to the memorial, held at the Our Lady Queen of Angels Cathedral in downtown LA, to show their respects.